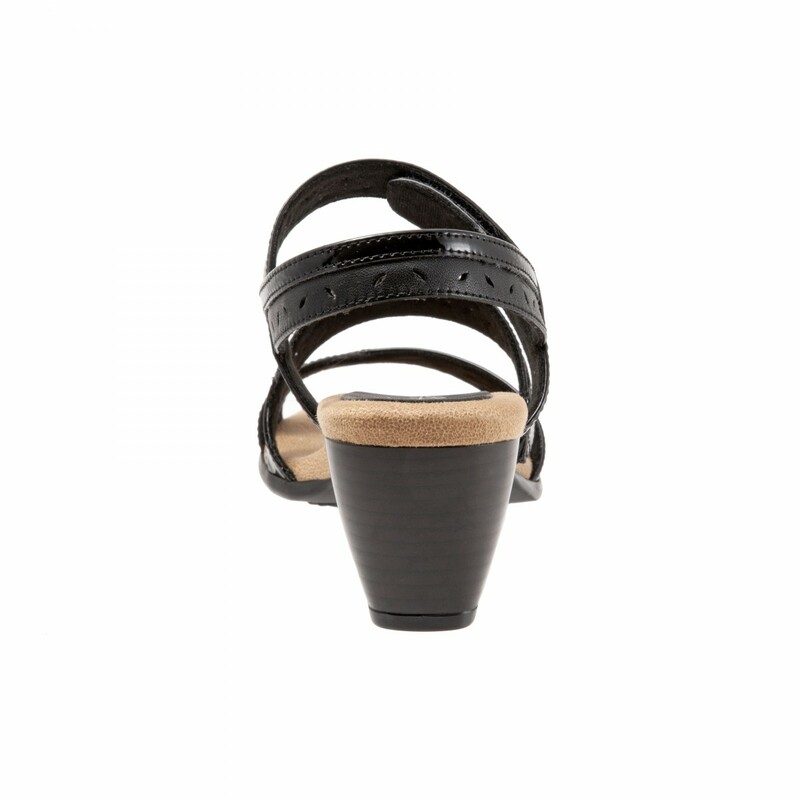 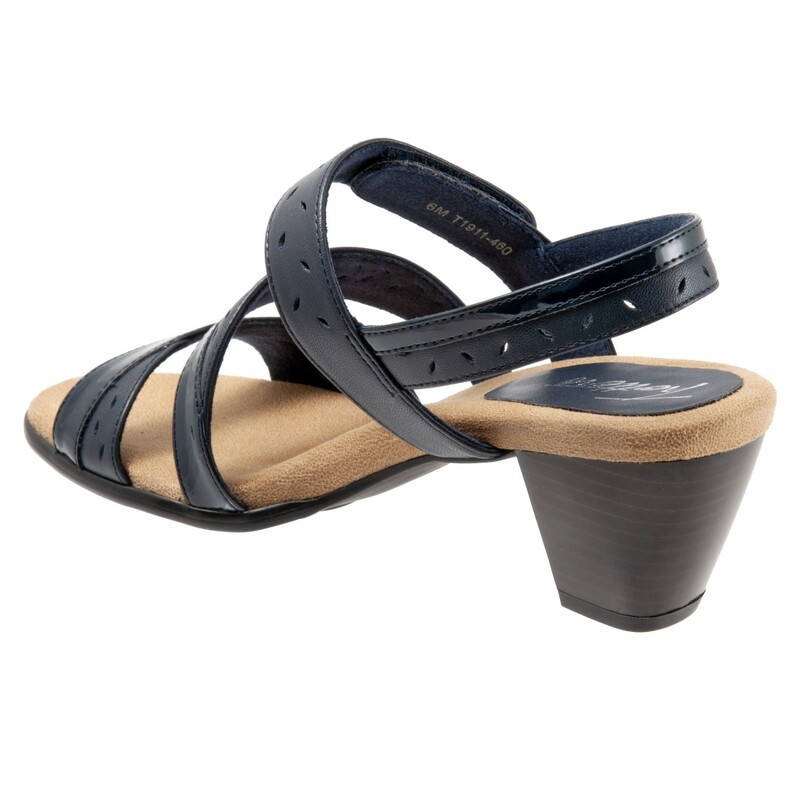 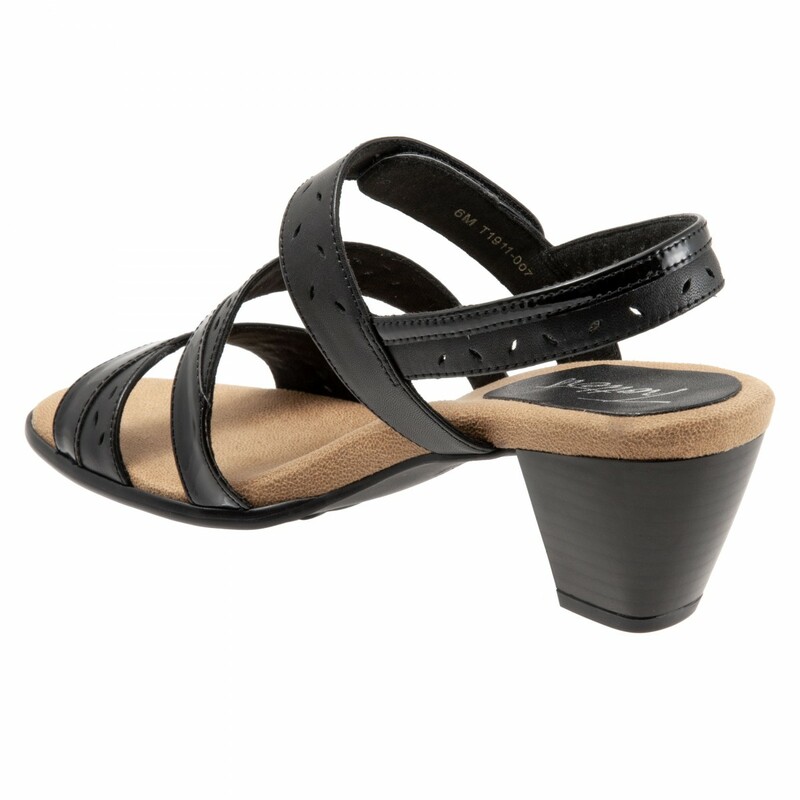 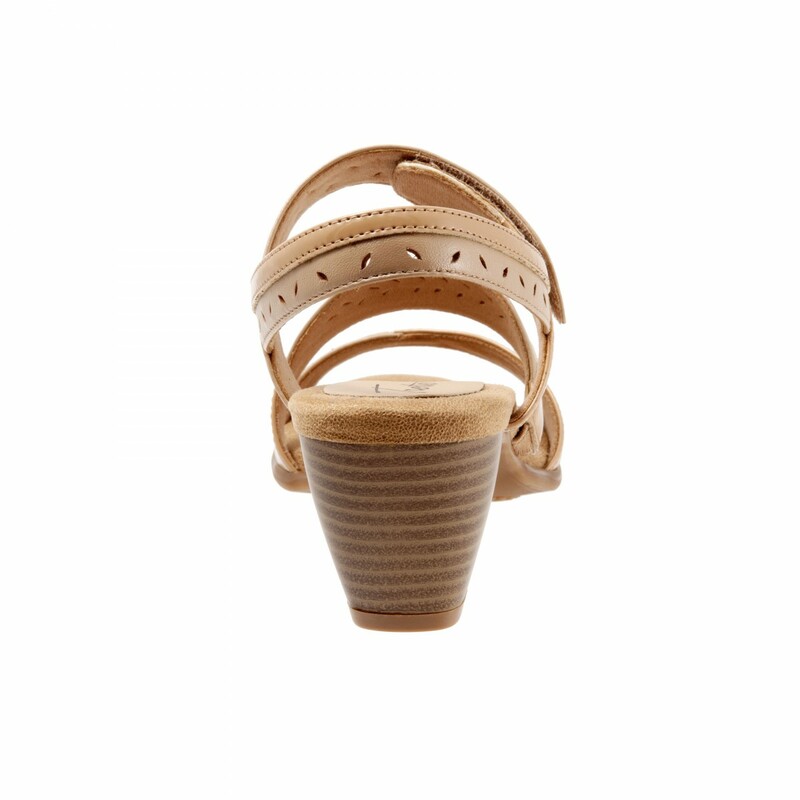 You are marvie-lis in this stylish triple banded sandal with a great stable walking heel. The deep cushioned foot bed adds to the comfort. 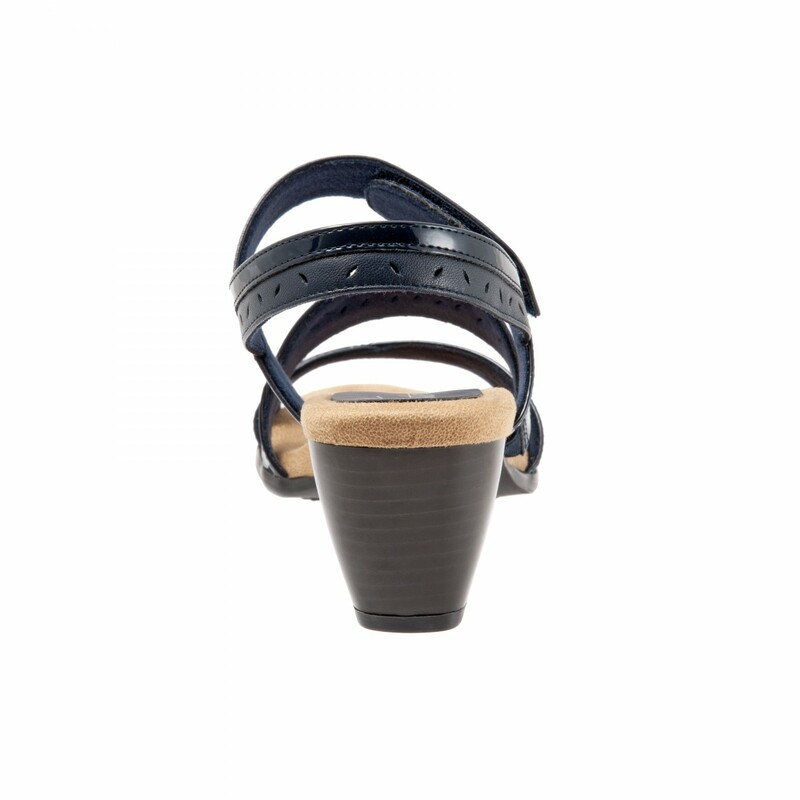 All day and in to the night- marvie delivers style and charm. 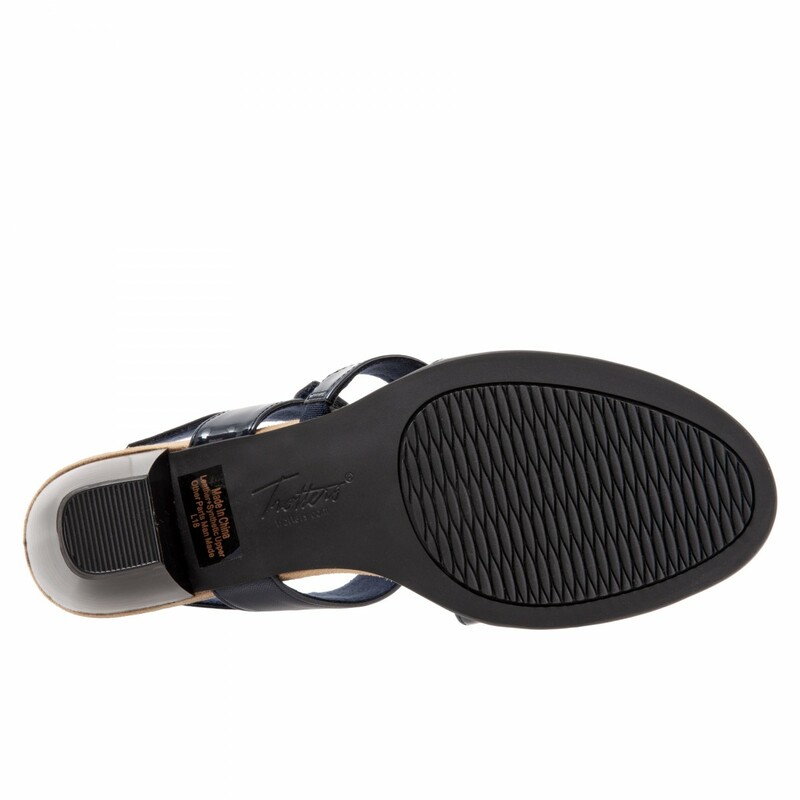 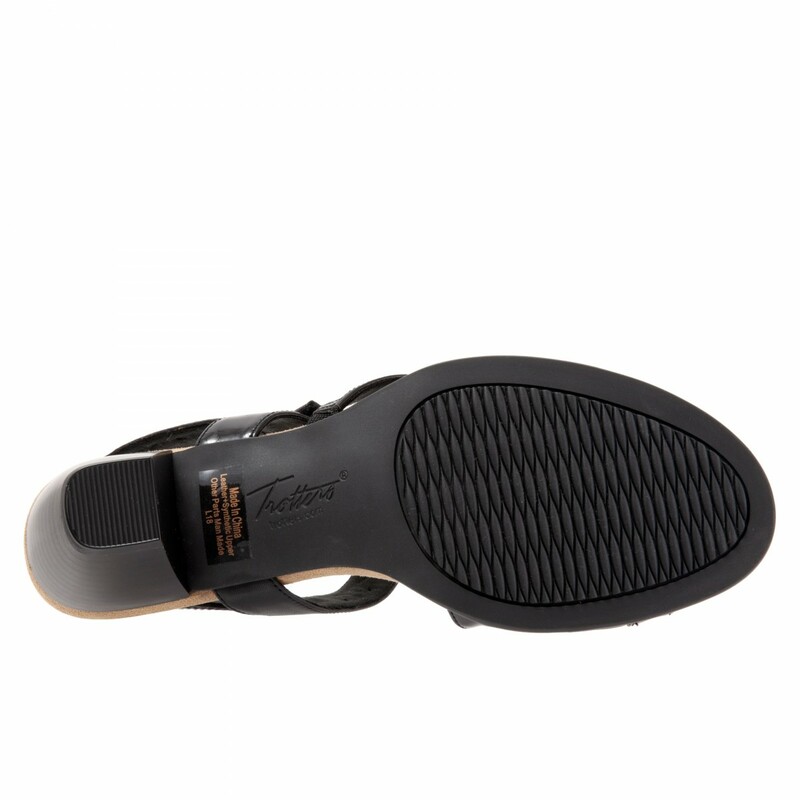 Patent and leather combo straps have small leaf like perfs.